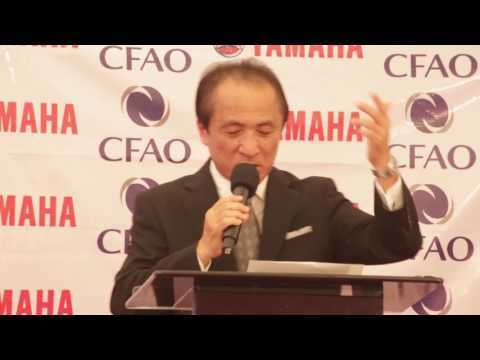 Yamaha Motor Co., Ltd. (Tokyo: 7272) announced today that CFAO Yamaha Motor Nigeria Ltd., a joint venture between Yamaha Motor and CFAO S.A., opened its first motorcycle assembly plant in Africa within the Amuwo Odofin Industrial Scheme area of Lagos, Nigeria on May 13. The facility includes a showroom that showcases Yamaha Motor's wide-ranging lineup for land and water-transport products. This marks Yamaha Motor's second foray into Nigeria, as well as the entire African continent, following the cessation of its motorcycle production in Nigeria in 2005. The plant and showroom will help meet local needs for land and water transportation, including government initiatives to develop Nigeria's aquatic agriculture sector. 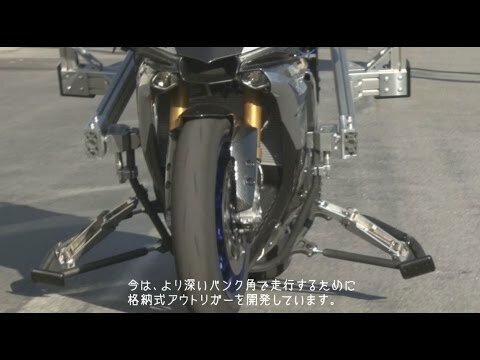 Production is expected to reach 70,000 motorcycles by 2018. Visitors to the showroom will be able to view and purchase diverse products from the Yamaha Motor lineup, such as outboard engines, personal watercraft, all-terrain vehicles, generators and Yamalube lubricants, all of which are distributed in Nigeria exclusively by CFAO Yamaha Motor Nigeria. Yamaha Motor also announced two initiatives for the local motoring public: the Yamaha Technical Academy, which will provide technical training and support services, and the Yamaha Riding Academy, which will promote motorcycle riding safety. Attendees in the opening ceremony included Lagos Governor Akinwumi Ambode, Yamaha Motor President, CEO and Representative Director Hiroyuki Yanagi, and CFAO Group Chairman Richard Bielle. CFAO, a Paris-based member of Japan's Toyota Tsusho group, distributes products of major international brands in Africa. The company has been in business for more than 110 years, during which time it has built a vast distribution network in Nigeria. About CFAO Yamaha Motor Nigeria Ltd.
CFAO Yamaha Motor Nigeria Ltd. is a registered subsidiary of the CFAO group and Yamaha Motor. It was incorporated on April 9, 2015. The company is the exclusive distributor of Yamaha Motor products in Nigeria.